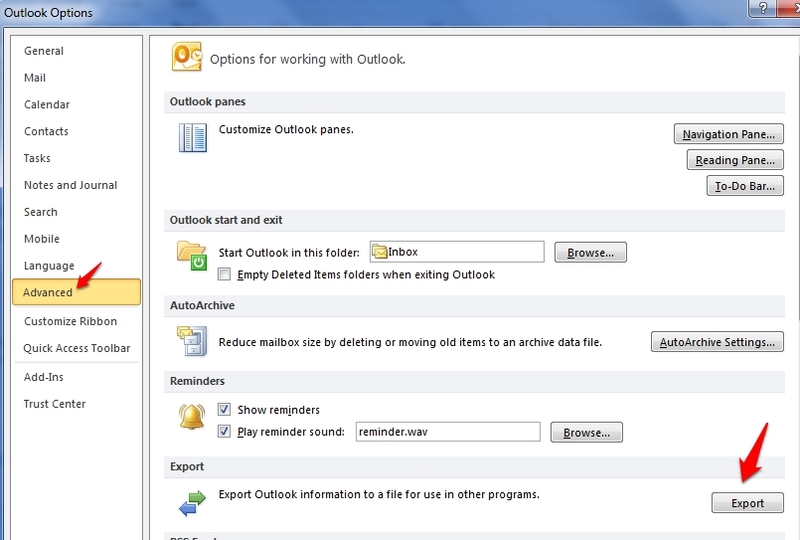 How do I export my contacts from Outlook into a CSV file? Click “Option” under the “File” tab. Under “Export,” click “Export to a file,” click Next. Under “Create a file type,” click CSV file, click Next. Under “Select folder to export from,” select the contact folder that you want to export, and then click Next. In the “Export to a File” dialog box, click Next. You can click here for importing instructions.